Yesterday, April 17, we published the damning report “Game Over: David COHEN POSEL (Occupy Corporatism – US Independent) Exposed as ‘Global Depopulation Policy’ Pawn” and we informed the alleged writers and contributors of DAVID COHEN POSEL of this publication since it certainly concerns them. 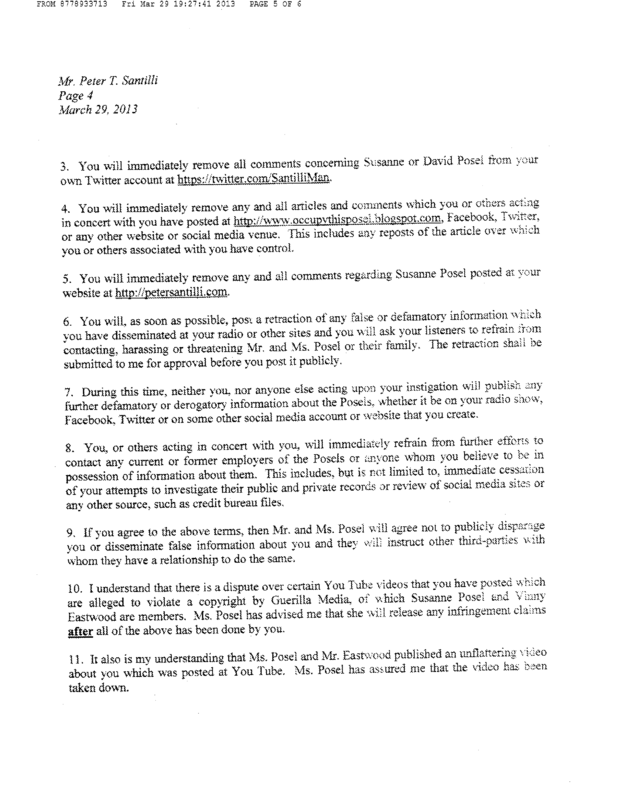 Responses are currently flooding in from people who are re-posting the report on their websites and blogs and from people who have a broader opinion about DAVID and SANNE COHEN POSEL. One of those responses comes from Fairdinkum Radio Show’s Leon Pittard who apparently is wrongfully being mentioned on the COHEN POSEL website as one of “their” writers. “Yes, transparency is what we value here. That’s the way forward, we believe. I haven’t dragged anyone. When someone dragged anyone it is COHEN POSEL. I’m sorry if our transparency offends you but your e-mail was very interesting and we deemed it necessary to let our readers know this most telling development. We will remove the content of your e-mail but the page has already been archived for future reference so it is still accessible. People who contact us should know that we always publish critical information, that is part of the transparency policy. The content was already posted before you mentioned “private communication.” We told you in our previous e-mail that we published it so we let you know about it. We don’t hide anything. You didn’t specifically state that your first e-mail was not allowed to be published. Again, we are sorry if our transparency offends you but we surely would appreciate when anyone would publish our e-mail content whenever this may help their case, regardless what the issue is. We always write our e-mails in such a manner with that purpose in mind. Obviously the fraudsters at the US Independent and Occupy Corporatism seem to be mixing up their fantasy world with reality, which is to be expected from delusional individuals who support depopulation. Another person, who wants to be called Lee, also contacted us and had this to say. I don’t believe I’ve spoken with you. I came across your article regarding the Posels and, well, I too had a problem with them. Mostly with Susanne though. It was David that would correspond to me months after when I would send something regarding whatever it was at the time. Mostly I was making up for putting out a smear on Susanne’s (PW: nwocsi) site two years ago. I did that because I wasn’t certain if I’d need them or not and, whelp, I don’t need them. David COHEN POSEL, you have already LOST your self-declared “war” and you don’t even realize it yet. Give it up before you hurt yourself more than is necessary and than you can handle because this “war” update below is merely a heads-up to BACK-OFF for it is a fact and promise that slowly but surely we will see to it that your sites will crumble if you really force us to. Back-off and we might allow you to further deceive your remaining readership. Recently Mega Fraud DAVID COHEN POSEL, the husband of decepticon and copy/paster SUSANNE COHEN POSEL, declared “war” on us and claimed that we couldn’t win this because his organization is so very big and he is so very powerful. His declaration came about after he was remembered about what kind of fraudsters that he and his wife are. Now we could widely expand on the whole list of “his” writers over at The US Independent, and his Facebook friends, and it would surely be a cute florilegium when we did so but to be honest we lack the time since we have really important work on our hands right now. Therefore we will just cut to the chase and put the information out that proves what kind of person he , DAVID COHEN POSEL, is and what the REAL AGENDA is at the COHEN headquarters. When you see or hear DAVID and SUSANNE COHEN POSEL talk or write about how bad the UN, the government, the new world order, and so on, is it is advised to know that ALL of “their” copy/paste jobs are nothing but a HUGE SMOKESCREEN. As you will witness today, DAVID COHEN POSEL is a full-blood professional SHILL, DECEIVER and MEGA FRAUD who is derailing the remaining truth movement. Just like these persons right here. How is it that we can be sure that DAVID COHEN POSEL is a full-blood professional SHILL, DECEIVER and MEGA FRAUD? That is VERY SIMPLE and EASY to answer. Hunger Strike Against Depopulation is a campaign run by one of “his” writers, Kevin Mugur Galalae who claims to be part of the Civil Rights Party of Canada (CPRC), NCPC and who claims to be Canadian Deputy Prime Minister (????? ), according to the FAKE alternative news outlet and copy/paster The US Independent. DAVID the PAWN and SANNE COHEN POSEL, Kevin Mugur Galalae and Kimberlee Schultz claim and make their readers and followers believe that they are against depopulation and that for this reason their followers should support and fund this campaign. This cannot be denied nor “debunked” because this campaign is all over their website(s) and Kimberlee is running a fundraiser for it. But what is this campaign really saying and what are the promoters really preaching? As that entire article shows, including the words “The objectives of the Global Depopulation Policy are absolutely necessary if we are to ensure peace on earth and the survival of the species,” the whole readership and supporters of DAVID the PAWN and SANNE COHEN POSEL are deliberately misled and lied to BIG TIME. The fact that those people can’t find this out for themselves shows the pity level of the COHEN POSEL readership. DAVID and SANNE COHEN POSEL are not patriots, nor anti-globalists, nor are they professional researchers. What they truly are behind the Occupy Corporatism mask is COPY/PASTING ARTICLE SPINNERS with no other qualities then deception. And at that they are good, we have to give them that. Unfortunately our time is up for now, we can’t further elaborate on the COHEN POSEL SCAMMERS although we wish we could, but like we wrote at the beginning of this update, we have more important work on our hands than exposing these decepticons. These are “his,” DAVID COHEN POSEL’s, writers who either have been duped or are knowingly playing the game of deception along with SANNE COHEN. 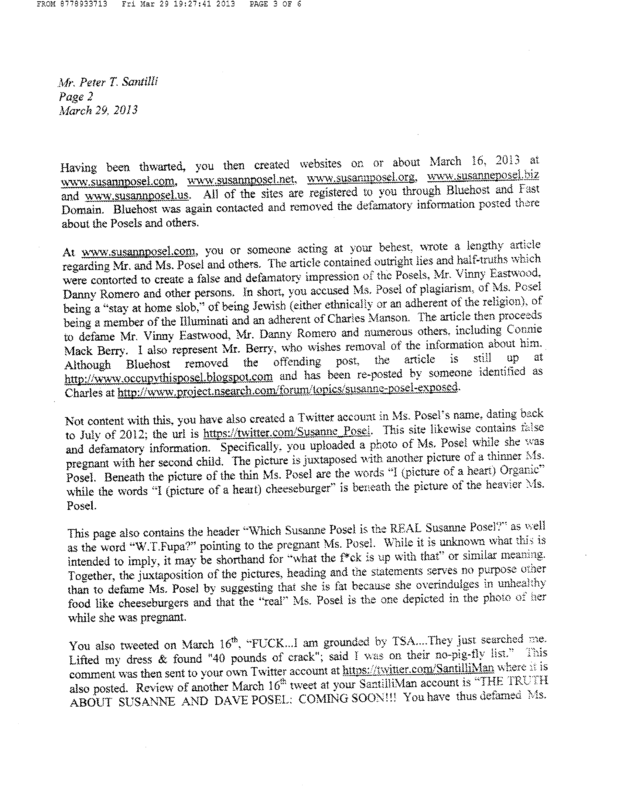 This video is 100% proof of the fact that the FORGED documents as discussed in this 4KEY.NET report come from both Vincent Eastwood and SUSANNE COHEN POSEL. This CANNOT be denied nor debunked in ANY WAY! Eastwood and COHEN POSEL are complete alternative trash and their operations should be put out of business ASAP! Listen for yourself, hear how Vincent Eastwood and SUSANNE COHEN POSEL indulge themselves in the lies. Cohen Posel has also complained at Youtube. The video below was banned because they feel offended by it. Well, they should have known that their deception and forgery will be exposed FOREVER. UPDATE 1 POSTED BELOW THIS REPORT. It’s no secret anymore that several alternative and “truther” websites and organizations may have been honest when they started out until they had been compromised or are just pure resistance hijackers from the very start. For example, aside from what Infowars on its own has been doing and has become lately it also has something in common with Rense, they both keep the truth about Fukushima away from their audience. On purpose. And before we can start to write about Suzanne (Susanne, Sanne) Cohen Posel from the Occupy Corporatism and The US Independent websites it is important to first add Wikileaks [1, 2], Paul Hellyer, Assange and Snowden to the list of deceptive alternative venues and “truthers” because it has to be made clear that a bigger alternative picture is developing. 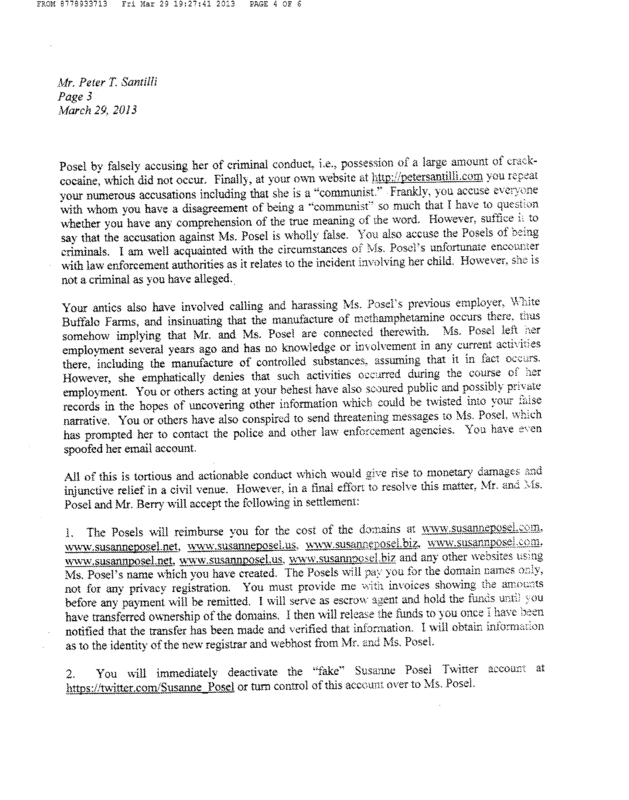 So what’s the big deal about fraudster Suzanne Cohen Posel? In 2012 and 2013 the founder of Occupy Corporatism, Suzanne Posel had been exposed [1, 2, 3] by others who found it necessary to tell the truth movement who she really is, how she operates and how she successfully deceived the public on her way up the ladder in the truth movement. Unfortunately we found out about this only recently although it’s news that has been going around since at least November of 2012. If it weren’t for the resent cases in which alternative news outlets and whistleblowers were exposed as deceivers and if it weren’t for Suzanne Cohen Posel’s new website, The US Independent, we would probably not have made a big deal about it since the world is filled with liars and decepticons anyway. But given the fact that there’s a bigger picture developing and given the fact that Cohen Posel is being granted a status of ‘honest source’ (just like Jones, Snowden, Rense and Assange) by thousands of people through her cooperation with rather popular personalities in the alternative media it is imperative that we help to expose her before she hijacks more segments of the truth movement, which is rapidly falling apart unfortunately due to all the previous mentioned fake truthers and deceiving alternative outlets. Suzanne Cohen Posel was able to rise because she deceives her audience and she plagiarizes herself and her websites to fame. Occupy Corporatism’s Susanne Posel Claims To Publish “100 % Original” Articles While Plagiarizing Writers Like It’s Going Out Of Style. Plagiarism has no business in investigative writing. In fact, it seriously undermines the effort. Suzanne (Susanne, Sanne) Cohen Posel claims to have written more than 4,200 exclusive articles since she first started her website Occupy Corporatism in 2011. Knowing that she’s a professional article spinner one may wonder how many of those 4,200 are actually hers. In fact one may rightfully ask himself whether she has done any research at all in the past for “her articles.” It’s fair to assume she has not, that she indeed is nothing but a fraudulent copy/paste spinner. Now that we know she’s a professional liar it’s safe to assume that the reports about her of creating fake faxes to the FBI and fake e-mails from lawyers are true. Although she’s a smart liar and decepticon the faked documents are rather poor, they don’t pass our sniff test in any way. It’s hard to mislead a trained eye but unfortunately many people do buy her shilling and deception. It’s time to stop it and put her websites out of business ASAP because they not only destroy what is left of the truth movement they are also an insult to those who actually try their best to dig for the truth. Journalism ethics be damned when it comes to Suzanne (Susanne, Sanne) Cohen Posel. So although her disgusting show is not really new for some people, the fact that she’s still being recognized by many as a good truther is a sign that her deception is still doing wonders for her. It’s time we put a halt to the fame of Suzanne (Susanne, Sanne) Cohen Posel and the rest of the fake truthers and deceivers, they have hijacked enough already. Lets save what is left. 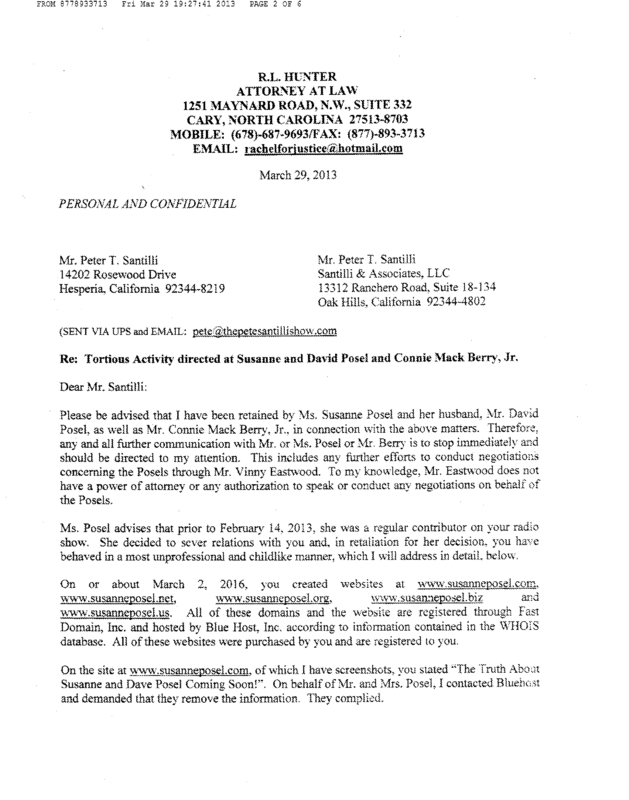 Now, we will not leave you empty-handed and spoil the party, here are the documents that Suzanne (Susanne, Sanne) Cohen Posel created herself or were created upon her request which were used during her “Pete Santilli is an FBI Informant” campaign. 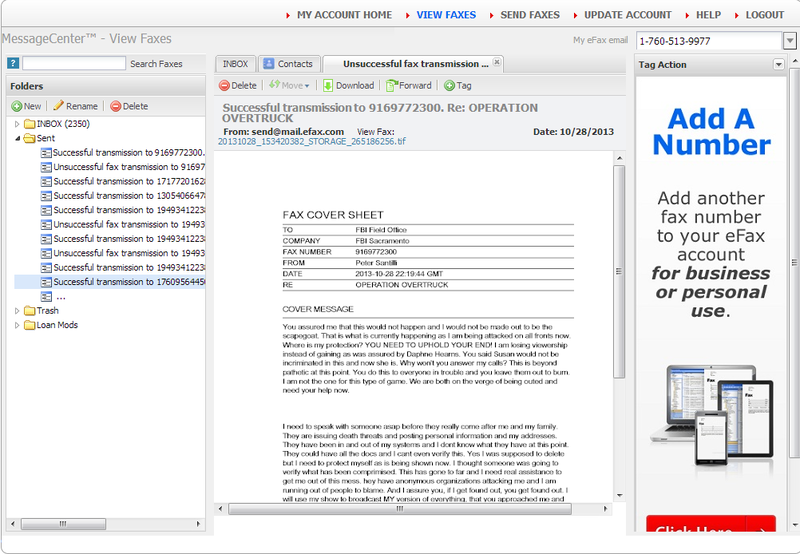 This is supposed to be the exact same fax as fax #1above. Unfortunately for the scammers, Cohen Posel and co., they made a stupid mistake because not only is the time stamp NOT the same even the TITLE is different and misspelled. What a bunch of amateurs when it comes to forgery, whoever it may be that has produced such junk for her if it wasn’t COHEN POSEL herself. 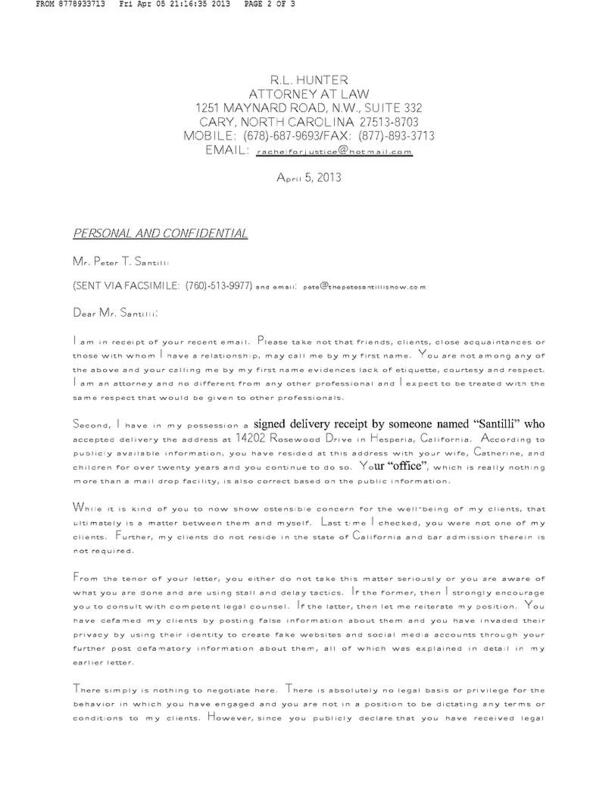 The following signatures were taken (screenshots) from alleged real documents supposedly coming from COHEN POSEL’s lawyer, sent to Santilli. 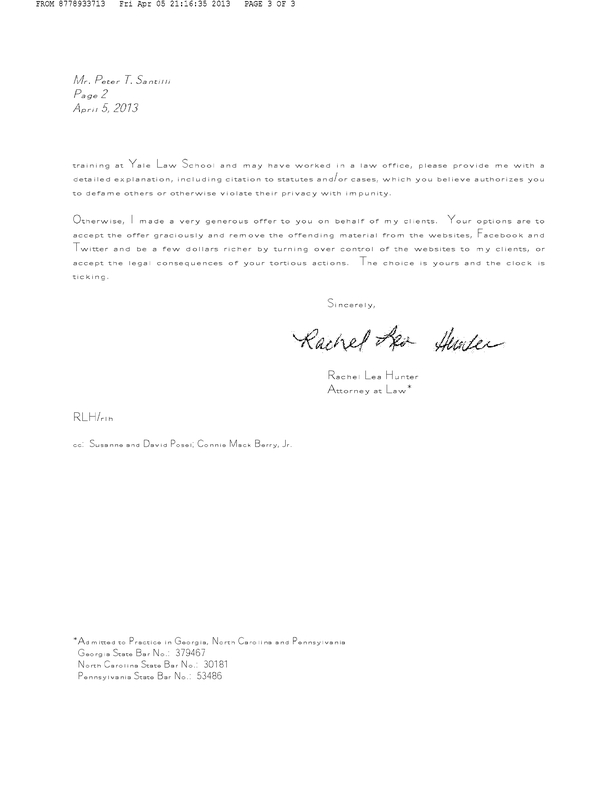 Signature #2 also allegedly from Rachel Lea Hunter, Attorney at Law (Cohen Posel’s lawyer), yet the signature is completely different and the handwriting doesn’t match in any way. What a flock of Occupy Corporatism LOSERS! And here are some great links where you can do some digging yourself. In this screen shot below, it is clear to see David Posel is the CEO of the Green Buddha Group. Also on the Facebook page for the Green Buddha Group on the about section it shows the phone number 503-890-0655. Notice these two phones numbers are the same. In looking at the description below of Eagle Television on the Katz Media Group website their description is almost identical, with the exception of “53″ major television stations instead of “43″ as shown in the Green Buddha screen shot above. Otherwise they are the same. Who owns Katz Media Group? “In 2000 the Katz Media Group joins the Clear Channel Family. Glenn Beck, Limbaugh, and Hannity – Manna from Heaven? This article shows that Glenn Beck, Sean Hannity and Rush Limbaugh shows are broadcast from the Premier Radio Network. “But in all fairness to B’rer Beck, pompous egomaniac Rush Limbaugh also received a HUGE RAISE from the Edomite world puppeteers – topping the pay chart of Premier Radio Networks. Back in 2008, Limbaugh reportedly received a cool $100 million signing bonus, and a contract extension worth $400 million over 8 years. Wow!! Pretty good for a 3 hour a day gig! It appears we now have Susanne (Editor/Administrator) & David Posel (Sales & Marketing Mgr.) of Occupy Corporatism linked through David Posel’s Green Buddha Group to Eagle Television, Katz Media, Clear Channel and finally to Bain Capital. Bain Capital being the jewel that connects Israel Firster/Zionist Mitt Romney, who worked with Benjamin Netanyahu at the Boston consulting group and dual citizen Ms. Orit Gadiesh. Read more on Mitt Romney and Orit Gadiesh here and here and here. We are now holding strong proof that Romney and “Bain Capital” are agents of the State of Israel who is attempting to rig an American election on behalf of a group of European entities unfriendly to the continued freedoms left to the American people. ROMNEY’S ISRAELI HANDLER – Orit Gadiesh, former “War Room” assistant to Ezer Weizman and Moshe Dayan, is the daughter of Israeli Brigadier General Falk Gadiesh (born Falk Gruenfeld, Berlin, 1921) and his Ukrainian-born wife. Gadiesh is chairman of the management consulting firm Bain & Company, the parent company of Bain Capital, and was the company’s managing director under CEO Mitt Romney in 1992. “She’s like a Jewish mother figure to many of the people at Bain,” ex-Bainie Dan Quinn told Fortune magazine in 1996. Mitt Romney was a co-founder of Bain Capital along with Bill Bain, seen here. Bain was ousted in 1991 and Romney served as CEO of Bain & Company in 1991-1992. In May 1991, while Romney was CEO, Gadiesh was named chairman of the company’s Policy Committee, which set the company’s business strategy and policy. In 1992, under Romney, she became managing director. Orit Gadiesh, who has worked at Bain & Co. since 1977, became chairman of Bain & Co. in 1993. Orit Gadiesh, born in Israel in 1951, has worked closely with Mitt Romney since at least 1991, and probably much longer since she joined Bain & Company in 1977, when she was 26. 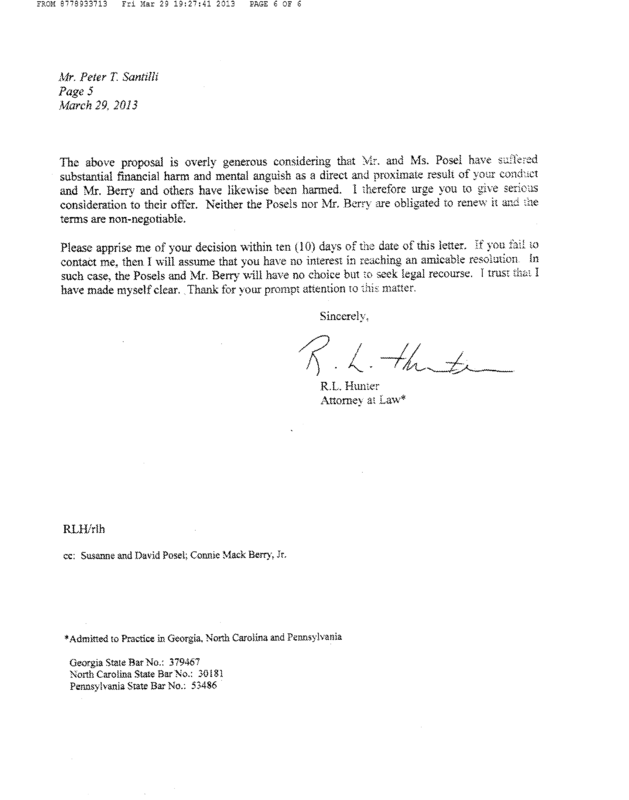 Romney appointed Gadiesh to his transition team when he became governor of Massachusetts in November 2002. Gadiesh is the daughter of Falk Gadiesh, an Israeli brigadier general and former member of the general staff who reorganized the Israeli army in the early 1950s after a stint at the Massachusetts Institute of Technology (MIT). Falk’s daughter Orit was chosen to serve in Israeli military intelligence. Her first position in the Israeli military was as assistant to Ezer Weizman, the deputy chief of staff who later became president of Israel. During the early 1970s, she worked in the war room, a bunker where Gen. Moshe Dayan was in charge. As a war room assistant to Weizman, Orit provided military leaders with documents and correspondence. Prior to joining Bain & Company, Gadiesh served in the office of the Deputy Chief of Staff of the Israeli Army. Currently, she is on the board of directors of the Peres Center for Peace, an organization headed by a former chief of staff of the Israeli military, Lt. General Amnon Lipkin-Shahak. The high-level Mossadnik Avner Azulay, managing director of the Marc Rich Foundation, is also on the executive board of the Peres Center. ROMNEY’S INTELLIGENCE CHIEF AND CAMPAIGN ADVISER – Mitt Romney named Michael Chertoff, the Israeli agent who supervised the destruction of the crucial evidence of 9/11, co-chair of his counterterrorism and intelligence advisory committee in October 2011. The 9/11 cover-up continues. Mitt Romney attended the Mossad’s “Herzliya Conference on Israeli Security” in 2007. Romney and the current Israeli prime minister Benjamin Netanyahu worked together as consultants at the Boston Consulting Group early in their careers. Romney’s close relationship with Orit Gadiesh and Israeli military intelligence is the real reason he is the chosen candidate of the Zionist establishment. Romney is being supported by high-level Zionists, Israeli military intelligence, and their controlled media network. This relationship between the Israeli military and Mitt Romney, a presidential candidate, should be of great concern to all Americans because this is how the Israeli military plans to drag the United States into a war with Iran.